Sadly, contention and acrimony are too frequently a part of many divorce proceedings. Particularly when multiple issues are in dispute and/or when children are involved, nothing good can come from an emotionally-charged, hostile courtroom divorce. 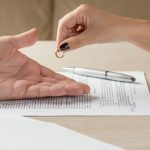 For many divorcing couples in Southern California, the disputed matters in a divorce can be dealt with more appropriately through an alternative divorce process, away from the courtroom. 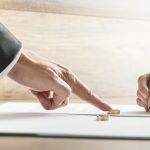 Divorce mediation, where divorcing spouses work with a neutral divorce mediator to resolve the issues in dispute, is the right option for many couples, especially when you take into account the emotional and financial costs of a contested, courtroom-focused divorce. Even if one or both of the spouses is reticent regarding mediation, both partners should learn more about the option before rejecting it. When both partners decide, more or less at the same time, that a marriage is over, and a divorce is in their mutual best interests, mediation may be the most appropriate path to divorce. When the divorce decision is a joint decision, it’s easier to move quickly toward a mediated settlement. When only one partner decides on divorce, it’s no surprise that the other spouse may resist moving ahead with the process. When two divorcing partners soberly accept the reality of being permanently divorced, and when neither partner has any desire for a reconciliation of the marriage, the couple has probably arrived at a point where mediation can be constructive. Partners in a mediated divorce need to focus clearly on their futures and need to deal with the business at hand. Mediation is not about blame, recrimination, or the past. It’s about the future. The desire to remain on good terms with one another isn’t essential to a successful divorce mediation, but it doesn’t hurt. Partners may have a number of reasons for remaining on good terms, and those reasons always help to advance the divorce mediation process. In divorces where one or both partners feel strong anger and hostility, counseling might be appropriate, but a mediated divorce may not be the best option. Financial issues are central in almost every divorce. To obtain the fairest and best possible financial agreement, a full understanding of the financial realities by both spouses is a must. 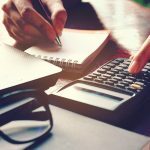 Mediation can help divorcing spouses with a better understanding of the marriage’s financial situation and the future prospects for each partner. On the other hand, the more spouses understand before a divorce procedure begins, the fewer surprises they’ll confront. If one spouse has generally handled all of the finances, the other spouse may feel disadvantaged. If one spouse has lied about something important in a marriage, the other spouse may need to have a divorce lawyer conduct legal discovery of the facts and the complete financial situation before starting the mediation process and working to negotiate an agreement. When trust is lacking, one or both spouses should probably work with a divorce lawyer and/or a financial adviser to find settlement options that don’t rely on the other spouse to provide truthful information. If both divorcing spouses are willing to admit that they both share some blame and some responsibility for a marriage’s failure, mediation will probably work for them. But if one partner feels that the other is entirely at fault for all of the marriage’s problems, it may be difficult for that partner to enter into any agreement that the other spouse might find acceptable. If one partner makes demands regarding marital property, alimony, or child custody and the other partner resists those demands, an experienced divorce lawyer should be consulted about a contested divorce. In a mediated divorce, spouses speak for themselves and end up negotiating their own agreement. The mediator’s primary work is the facilitation of the process. If one spouse is easily intimidated by the other, speaking up may be difficult. The mediator will help both spouses speak up for themselves, but a spouse who has little self-confidence or feels totally inadequate may need to hire an aggressive divorce attorney and pursue a more traditional divorce process. Mediation usually works well for individuals who can stand up for themselves in a conflict with without losing control. This doesn’t mean that mediation is only for people who are perfect. In fact, helping divorcing partners express themselves is one of a divorce mediator’s task. But if one or both spouses cannot help having strong emotional reactions, mediation may not be the right option. In Southern California, many divorce mediators simply will not work with couples with a record of physical abuse, because it’s essentially impossible for an abuse victim to negotiate on equal terms with an abuser. Alcoholism and drug addiction impair anyone’s ability to think clearly and to make reasonable decisions. Behavior problems linked to alcoholism and drug addiction can lead to irrational behavior that entirely derails a divorce mediation. Mediation may be the best way for parents to negotiate agreements about children. Certified Divorce Coach Rosalind Sedacca says, “As a Divorce and Parenting Coach and Founder of the Child-Centered Divorce Network, I highly recommend mediation as the first and best option for parents facing divorce. It’s more family-friendly, gives greater consideration to the needs of the children and results in more positive opportunities for effective co-parenting following the divorce. In mediation, the decisions regarding children belong to the parents alone, so nothing needs to be ordered or imposed by outsiders. When spouses can agree on parenting strategies and the amount of time a child spends with each parent, they should probably pursue the mediation process. However, if there’s a lack of trust, or if the spouses strongly disagree over matters related to their child or children, it may be better to work through the courts. Divorce mediation gives divorcing spouses a fair and sensible way to resolve the important issues in a divorce. If a divorcing spouse becomes uncomfortable with the divorce mediation process, that spouse remains free to examine other options. Divorce is never pleasant, but it does not have to be a battle. In southern California, an experienced Long Beach divorce attorney may be able to help divorcing spouses determine if mediation the right option for their own divorce.